Intoweb's Helpdesk Software is a prioritizing and troubleshooting tool, handling queries and tickets sent in by clients or employees. The Helpdesk is the central point of contact for support and request issues. 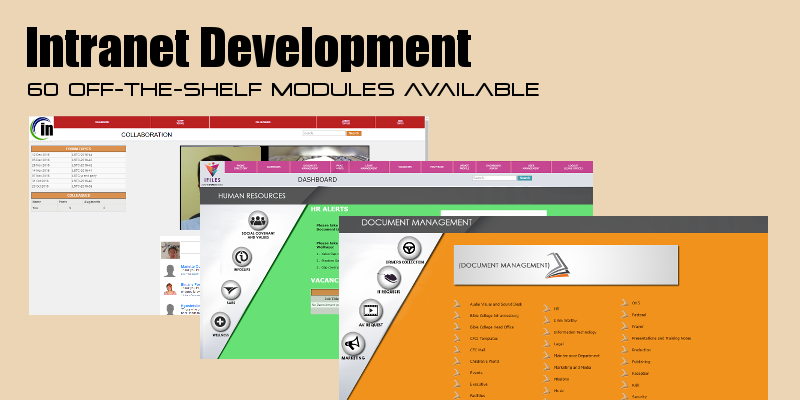 The module is a key asset in companies wanting excellent client care. Request are prioritsed, categorised and streamlined. The Helpdesk can be used internally by staff or externally by clients (If Contacts Module is installed). Each request is given reference number. Reminders of incomplete tickets are sent to Helpdesk administrators after a specified time. The helpdesk software is setup with auto-escalation of tickets. Tickets have communication between the administrator and the requestor, allowing for more information to be requested. Request tickets can be transferred between helpdesks. Pending request options for ticket operators to receive additional information. Tickets can be transferred between helpdesks. Facility to rate tickets after completion and provide feedback. The system uses the Intoweb framework, which includes anti-spamming, anti-illegal file uploading and anti-sql injection, and various other security techniques.The authorised company supplier officers need to log onto the system using a secure username and password in order to process information. The reports facility enables you to generate customised reports. Some reports that can be generated are Callouts, Categories, Assets, Ratings, Escalations, User Reports and Operator Reports.